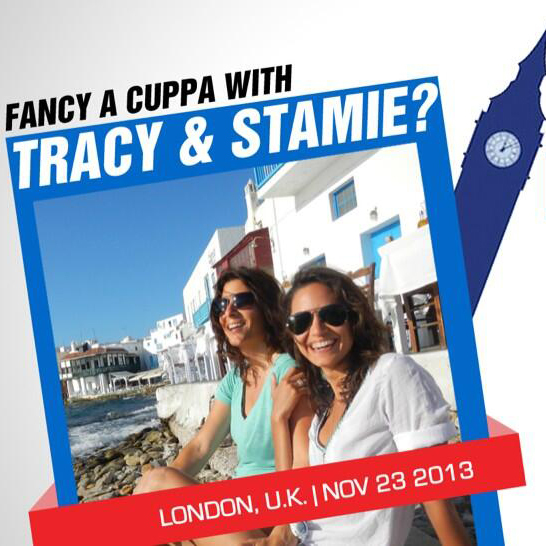 Purchase your ticket to Tracy & Stamie Live in London before November 1st and you win a chance to have coffee (or a spot of tea if that tickles your fancy) with one of the girls. Get your tickets here. The latest issue of Diva Magazine (their “naked” issue) have a short interview with Tracy & Stamie, as well as including details of our event. Make sure you pick up your copy and jump to page 20 to read the interview. Act fast, 10% of the Morning Entry Tickets and over 25% of the Afternoon Entry Tickets are now gone. Don’t miss out! And remember, if you book before August 10th you’ll receive a free raffle ticket to win a coffee date with Tracy or Stamie. Book your event ticket on or before August 10th and you’ll receive a free raffle ticket to win a coffee date with Tracy & Stamie!